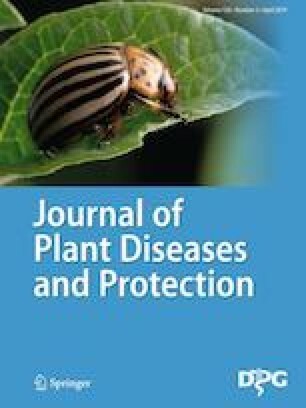 To have an opportunity for reliable detection of benyvirus Beet soil-borne mosaic virus (BSBMV) and its discrimination from Beet necrotic yellow vein virus (BNYVV), an attempt to generate a specific immunoassay was made. Using a purified recombinant polypeptide corresponding to the 55 C-terminal amino acid residues of viral coat protein as antigen, a specific polyclonal antiserum against BSBMV was raised. The obtained immunoglobulin G fraction reacted with high specificity in western blot analysis with both the recombinant polypeptide expressed in Escherichia coli and total protein extract from BSBMV-infected plants. In parallel, to improve the identification of benyviruses, a duplex RT-PCR method for simultaneous detection of BNYVV and BSBMV was developed. This method is based on the combination of multiple primer sets to different pathogens into single multiplexed amplification reaction, which share single standard amplification conditions. We highly appreciate the skillful technical assistance by Ms Doris Walther and Ursula Apel, and we thank Dr. F. Rabenstein for the helpful discussion and support in the production of IgG. This study was funded by Fachagentur Nachwachsende Rohstoffe e.V. (FNR, Germany). Project No: FNR -22013608. Authors declare they have no conflict of interest.